It is my honor to attend this forum as a representative of Chinese New Energy Enterprises. On behalf of Zhenfa New Energy, I will express my most sincere gratitude to friends attending this forum! During the development of Chinese 10,000 years civilization, our demand for energy has never stopped. The great history of natural resources usage created by our ancestors has left us a precious treasure--the Silk Road. When we entered into 19th Century, the fossil energy predominated all energy, promoted the development of Industrialization Civilization and changed the world’s economic pattern. However, the development of fossil energy is not sustainable. The one who knows the energy will know the future. Entering into 21st Century, the Party Central Committee and president Xi Jinping come up with a strategy of “ the Silk Road Economy Belt” on a new level, which will definitely promote the development of new energy along the Silk Road. Depending on science, technology, wisdom and hard work, the problems of energy will be solved and the new energy will be popular among people, especially the solar energy. 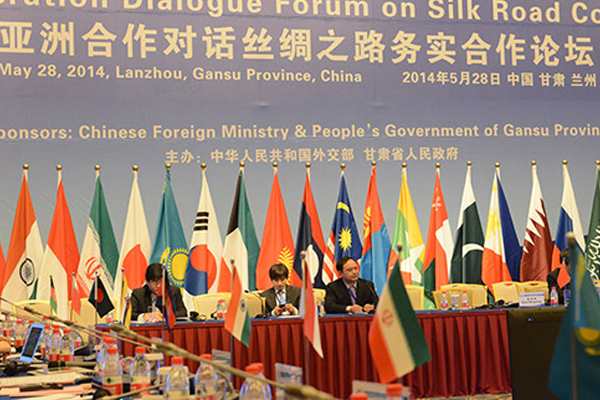 The historic moment of the combination of the ancient Silk Road and the New Energy Developing Road will come. Zhenfa New Energy is exploring a Green Power Silk Road with innovation and is eager to cooperate with our friends to develop the economy. Now please watch a VCR. The video played zhenfa performance at the national power utility company, our target by 2020, RMB 0.5 Yuan per watt solar power costs are minimized. Our residential and new energy development in the future is what kind of relationship? Zhenfa company we are constantly explored and studied.